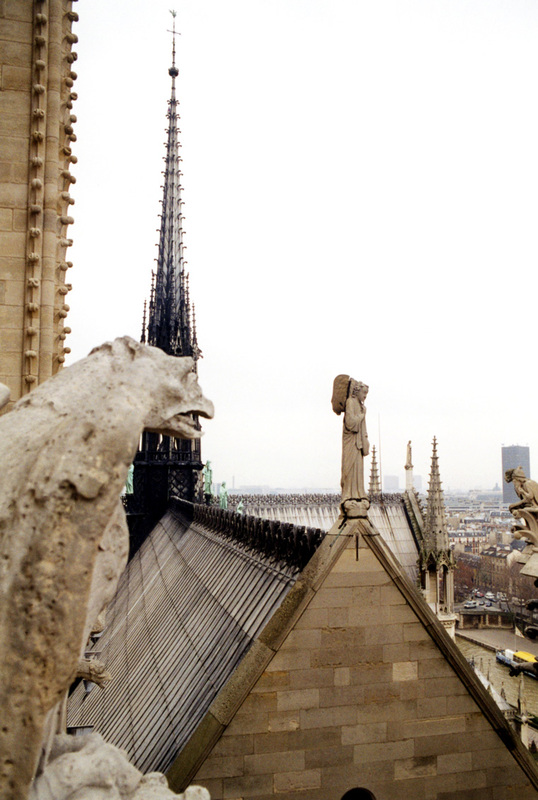 Notre Dame de Paris is burning. I wish that was just a misquoted line from Disney’s version of Hunchback of Notre Dame, but it is not. The famed cathedral caught fire today and much of it has burned. The first looks inside are not promising; the stone remains, but many of the vaults have collapsed, many of the artworks and relics within have burned, the spire and roof are gone, and the wonderful stained-glass windows have mostly vanished (happy update: all three of the ginormous rose windows survived)(happy update 2: most of the stained glass has survived!). 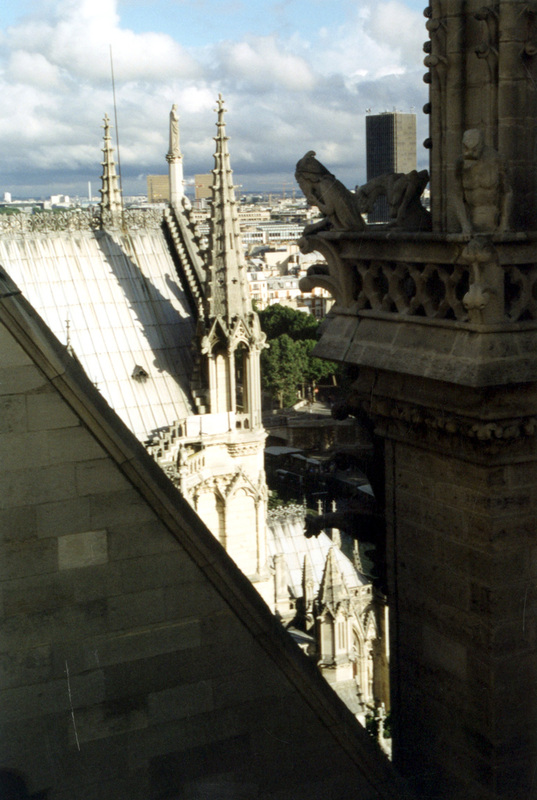 Notre Dame in Paris was not the tallest (that would be Beauvais), nor the most carved (that would be Reims), nor the most luminous (that would be the Sainte Chapelle) nor the largest or most complete (that would both be Cologne). All that meant nothing, however. It was beloved, the world’s most famous cathedral, long residing at the heart of a vast, powerful, and magnificent city. 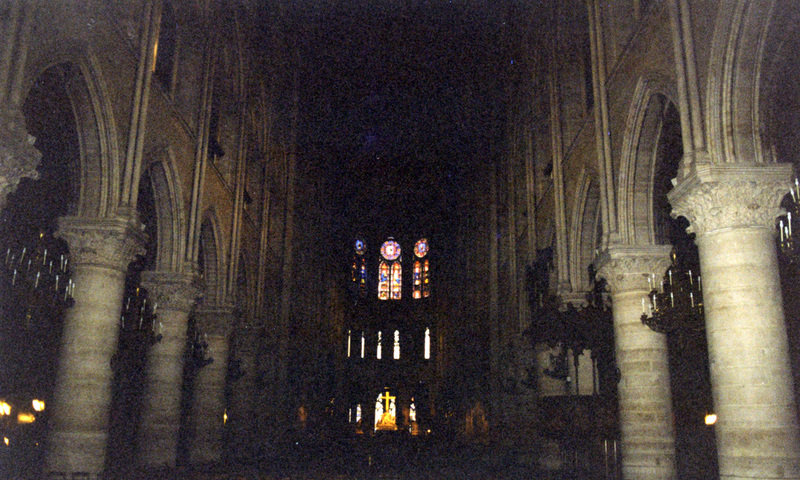 I had the fortune to visit the cathedral several times, including christmas eve, sitting in the pews with the architecture bathed in candle light, the windows lightly aglow, and the air filled with choir and pipe organs. It was glorious. Churches and cathedrals are often some of our first encounters with monumental architecture, spaces explicitly designed to (and given the opportunity to) evoke something within us just by being there. 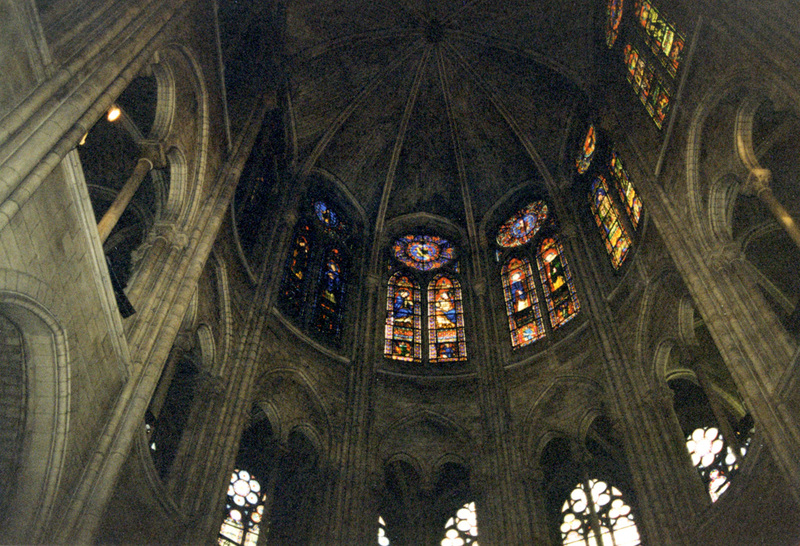 The gothic tradition sought to do this through light, dissolving the solidity of the outer walls as much as possible to permit the largest windows possible. Height was of equal importance, naves stretching heavenward, columns and ribbing arcing upwards to pointed arches and the iconic vaults. 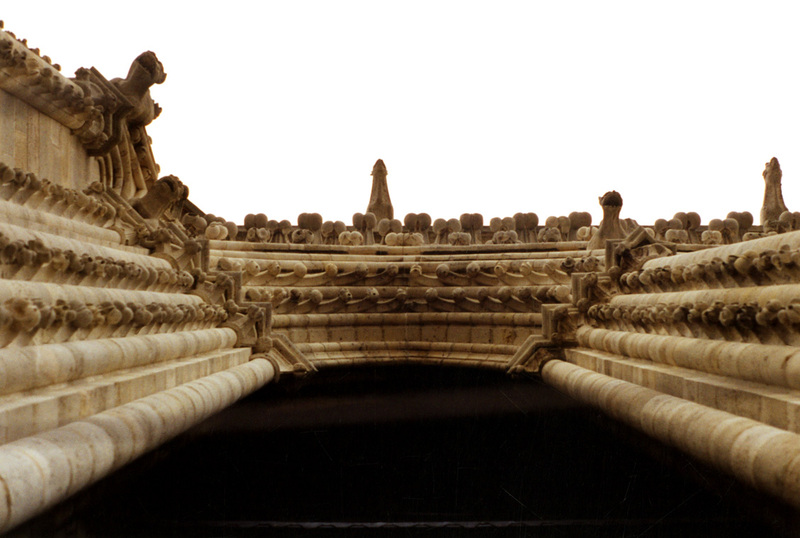 Building technology was stretched to the limits, and new ideas like flying buttresses sprang forth to fulfil on the vision, while themselves being shaped and turned into iconic beauties of their own. And then there was the art – carvings, statues, ornament, gargoyles, rose windows, stained glass, tile labyrinths, and the mighty pipe organ filling the whole of the church with its resonant sound, a music with no source that washes over you. Step through the door and you feel it. This is not the first time a cathedral has suffered a calamity (WW1&2 did a pretty good number on many of them), nor the first time Paris’ cathedral has found itself in dire straits. 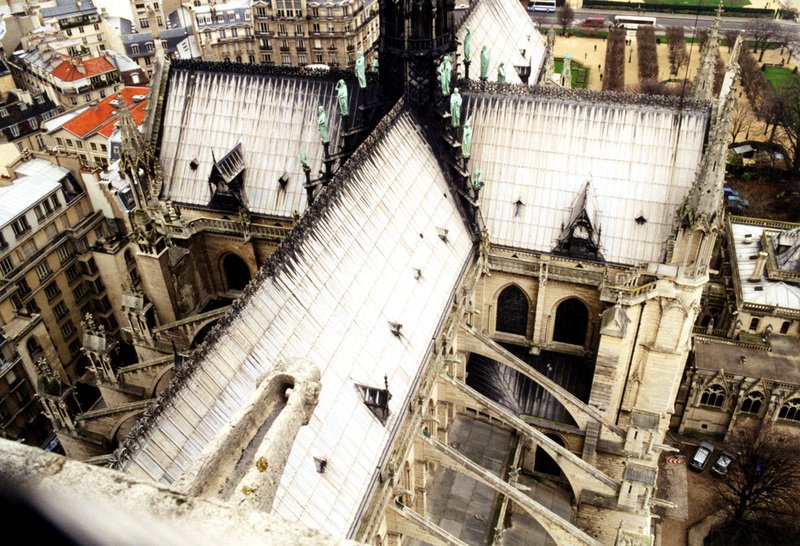 The whole reason Victor Hugo wrote his most famous novel was as a call to arms to save the cathedral. 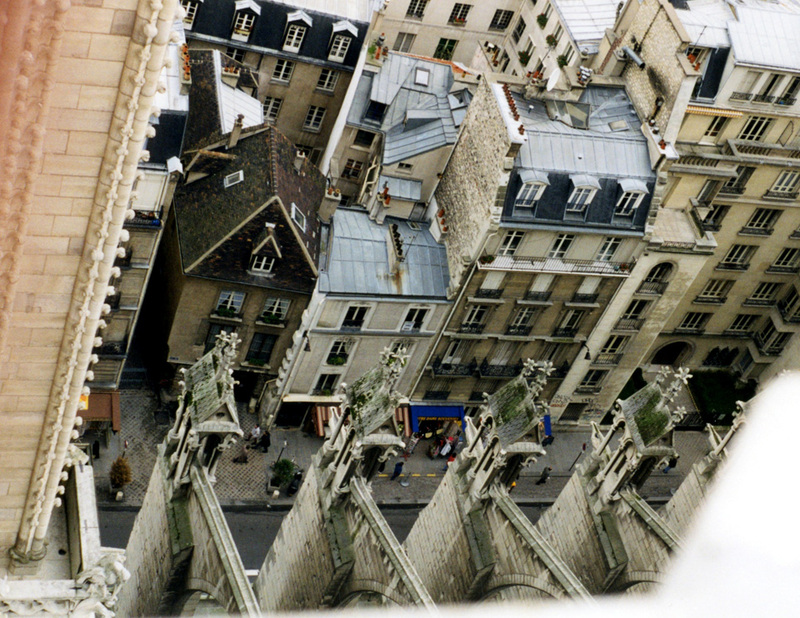 Entire chapters are devoted to the cathedral and architecture throughout Paris, and even a philosophical treatise on the nature of architecture itself (titled “This will kill that.”) Hugo recognized the beauty of architecture, how it resonates within us. And he was successful, with the novel causing a groundswell of newfound enthusiasm for the cathedral that it was restored. Before today, the cathedral was once again in need of serious repair, and work had just begun (which may well turn out to be the cause, unfortunately, a construction accident). 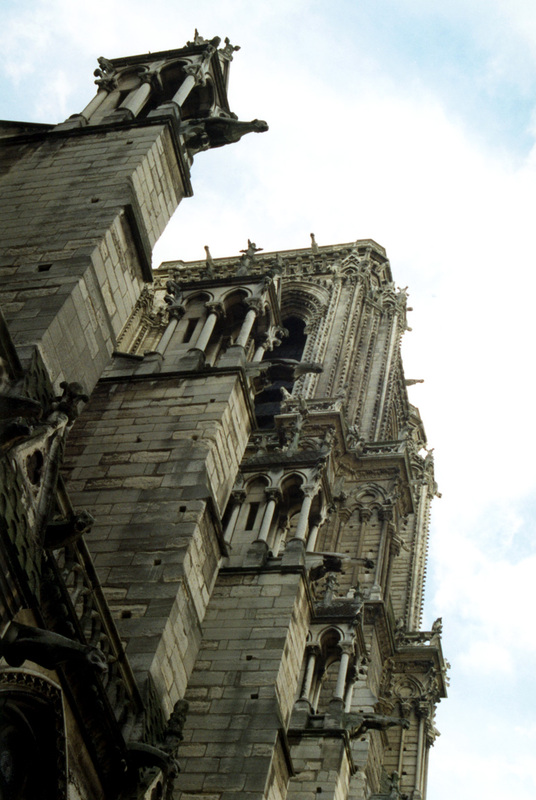 But this tragedy has, like Hugo’s novel, focused attention on the cathedral once more. Like the damages of WW2, or the never-ending construction of the Sagrada Familia, things will be rebuilt, repaired, and brought back into form. Architecture is very much a part of people’s soul. When it’s around day in and day out, it can be easy to take for granted, and we may not notice just how much it is a part of our soul, but it is. And the soul can heal. 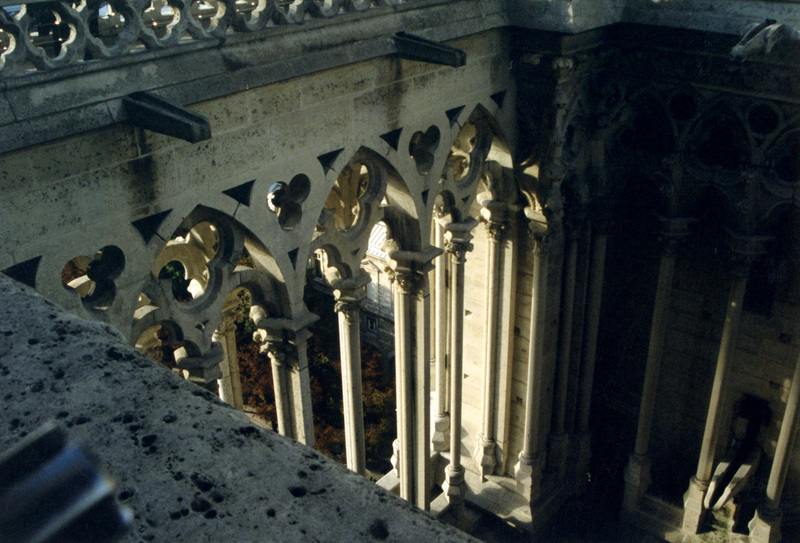 Below are some photos of my first trips to visit the Notre Dame de Paris cathedral in all their 35mm film ‘glory’. They focus on the areas that were most affected by the fire today. For some interior 360 shots, try here or here. You are currently browsing the Lynx Thoughts blog archives for the day Monday, April 15th, 2019.